Owners and managers of businesses with data centers need to be familiar with the fundamental principles behind these important systems. Understanding the value of backup power supplies allows decision makers to more effectively manage the data storage needs of their organization. 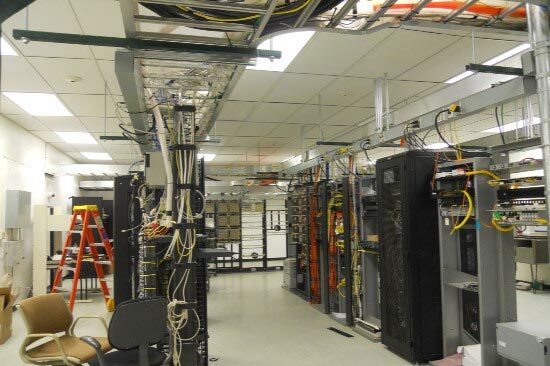 A data center with an uninterrupted power supply, or UPS, is protected against the damage that can occur if the servers suffer a sudden loss of power. Computers that are suddenly deprived of the necessary power without proper shut down procedures may compromise or even lose valuable data. This data might be essential for various business operations or contain sensitive customer information. All lost or damaged data is lost time and money for your organization. Repairing the damage and addressing all resultant setbacks must be undertaken before normal operations can resume. Investing in a UPS system will help prevent this kind of costly loss and will provide significant peace of mind. A standby UPS system will continually measure the voltage entering the system from the normal power source using a sensitive monitoring element. If the monitor detects a rise or fall in voltage outside of preset parameters then the system activates. The system’s AD/DC inverter circuitry activates by drawing power from an internal battery. The equipment served by the power supply is then mechanically connected by the UPS to the inverter output. This automatic transfer switch (ATS) activates as soon as the UPS detects an abnormal voltage. The switchover from the main power source to the UPS takes place in under a second; the mechanic transfer can engage in as little as 25 milliseconds. This very rapid response prevents any interruption in the power serving essential computer equipment and eliminates brownout to all equipment served by that particular system. Though computer equipment is designed to function normal even when powerful varies a small amount, any variation above or below certain tolerance levels compromises function. Your UPS system, its automatic switches, and other essential elements work together to respond to dangerous power flow fluctuations.